The dynamic team of attorneys at Gehres Law Group, P.C. is your go-to group of professionals for business-related transactional and litigation services, with offices in San Diego and La Jolla, California. Our award-winning and AV-rated attorneys focus on the areas of the law which go to the heart of legal challenges facing businesses and individuals including: commercial law, including UCC matters, business litigation, corporate compliance, contracts, business formation, intellectual property registration and litigation, employment-related matters, and estate and succession planning. Our business and estate planning attorneys have worked with a broad range of individuals and business entities from sole proprietors and start-ups to Fortune 100 companies, and their in-house counsel. Including many innovative technology-based companies, real estate professionals, entertainment companies, traditional retail businesses, medical-related businesses, and a multitude of other industries and business models. 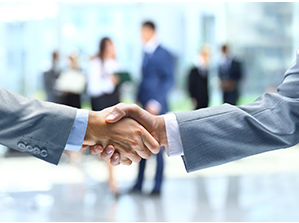 From forming a new business, contract negotiation and drafting, pursuing litigation and settling disputes, protecting intellectual property, licensing, estate and succession planning, handling mergers and acquisitions, employment-related legal matters, internet-based legal issues and more—we are your one-stop law firm for all of your company’s legal needs. Each of our business attorneys has years of real world experience and are skilled at getting to the heart of each client’s matter efficiently and effectively in a friendly, client-oriented, and professional environment. Our business and estate planning attorneys focus on each client’s background, needs, and objectives, which reflects our collective commitment to excellence and a successful outcome for each client. Solution focused legal thinking. With more than 80 years of collective experience, the award-winning and AV-rated attorneys at Gehres Law Group, P.C. Our firm’s dedication to quality, understanding of the law, respect and honoring the trust placed in us are values we live and work by in every contact with clients, our peers, and the community at large. We encourage you to call us to discuss your legal matter with any of our professional team members. There is no fee or obligation for an initial evaluation of your case. I feel [Tina] has gone above and beyond in serving my particular needs and I expect to call her again if the need arises. I am fully confident in Bill and Tina to provide excellent, efficient service. Terry Simokat, CA, Amercian Cargoservice, Inc. I would recommend Ms. Gehres to anyone who wants a fast, effective attorney who knows what she is doing.